Who is it for? 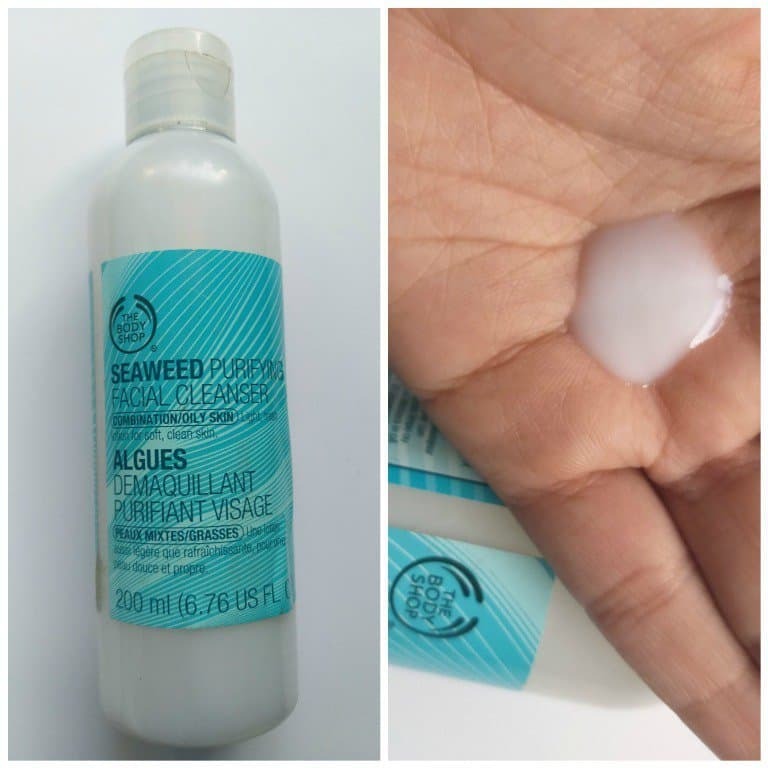 The Body Shop Seaweed Purifying Facial Cleanser is for removing makeup and impurities from face without clogging pores. It leaves skin soft, clean and oil-free. INR 795 -/ for 200ml. Massage into skin with fingertips and remove using a clean cotton pad or muslin cloth. It comes in a transparent bottle with a flap opening. The packaging is quite sober. The cleanser is white in color with lotion like consistency. It is smooth in texture and feels very light on the skin. The fragrance is very mild and pleasant. I use this cleanser to remove my makeup and at night before sleeping to clean my face. It effectively removes all makeup and impurities from my face leaving my skin soft, clean and oil-free. It is not too heavy for my oily skin. It removes all my dark lipsticks effortlessly. Overall it is a good cleanser and ahs worked well for me. Leaves skin soft, clean and oil-free. For all those who are wanting to invest in a good facial cleanser must give this a try. More from The Body Shop Seaweed Range?